Yesterday, we were to travel to a museum of our choice during our free time in the afternoon. 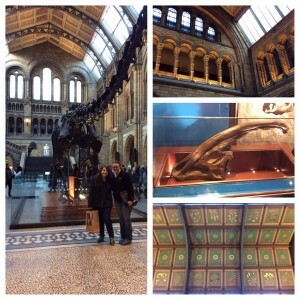 Rachael and I decided to go to the Natural History Museum. 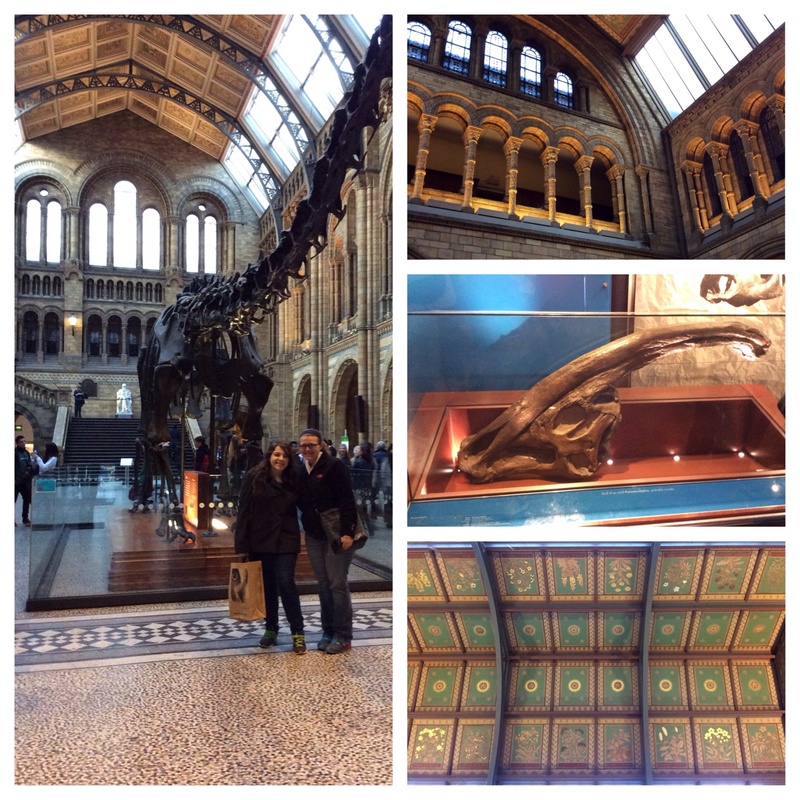 We took the circle line in the tube to South Kensington stop and walked a couple blocks to the museum. While walking we caught a glimpse of what looked like giant cathedral. The ornate museum was built in a Victorian style architecture and was built in 1881 By the architect Hans Sloane. Along with the architecture that I found interesting, I enjoyed the dinosaur portion to the museum. The museum is portioned off into different wings because the museum is very linear and high ceilings for large exhibits. It was a nice surprise on both parts, the architecture and the museum content. Posted in Museums/Galleries	Bookmark the permalink.